On Kawara is one of the most enigmatic of modern artists. Like his forerunner Marcel Duchamp, Kawara retreated from the art scene, avoiding his own exhibition openings and declining to be interviewed, so that his public persona came to be defined solely through his work. But that work itself seems - at first sight - to offer little more reward to biographers. Instead, it methodically and meticulously documents the trajectory of On's life, without apparent ornament, an art based on ideas rather than aesthetics which sits firmly within the tradition of Conceptual art associated with Joseph Kosuth and Lawrence Weiner. 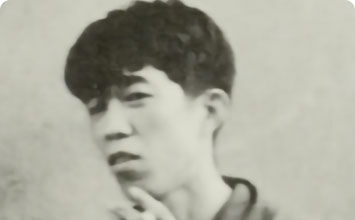 However, the extraordinary duration of Kawara's process-based projects - one of which, his date-painting series Today, lasted almost fifty years, producing almost 3,000 individual works - and the meditative consistency with which he applied himself to his tasks, sets his oeuvre apart, and links his work to his background in Buddhist and Shinto philosophy. By drawing attention to the minutiae of daily existence, Kawara's work focuses our attention on the most basic elements of our experience of the world: our location on the planet, and our passage through time. On Kawara's artworks often present the viewer with a simple, linguistic message about the artist's life, such as "I Got Up" or "I Am Still Alive". In the case of the Today series, they simply record the date when the painting was produced. Such works abandon the project of stylistic 'advance' which had sustained modern art since the late-19th century, reverting to a simpler function which had sustained human creativity over a far longer period. Like the cave paintings at Altamira (which Kawara visited and was inspired by in the early 1960s) his work simply documents the fact that the artist was alive: that he occupied a position in time and space. Relaying the bare facts of his existence in this way reflected Kawara's grounding in Buddhism and Existential philosophy, and his struggle to find a way of meaningfully communicating with his audience after the horrors of the bombings of Hiroshima and Nagasaki, which he had lived through as a teenager in Japan. On Kawara created some of the most long-lasting series of artworks by a single individual, methodically repeating the same activities - with small but significant variations - over years and decades. Occupying a position of semi-obscurity within the art-world for many years, these enormous bodies of work underscore the artist's commitment to documenting his ongoing existence with as little extraneous comment or emotive expression as possible. The simplicity of these projects belies the monumentality of the undertaking, which grants them a unique status in 20th-century art. Work on the Today series, for example, would have occupied the artist for several hours each day, and for years if not decades across the course of his life. With projects such as I Got Up and I Am Still Alive - which involved mailing postcards and telegrams to friends and benefactors, at irregular intervals, over several years - On Kawara not only abandoned the artisanal techniques that still defined modern art to some extent in the early 1960s, but, more importantly, outsourced the 'completion' of his work to anonymous third parties. In leaving the delivery of his telegrams and postcards, for example - in a sense the final stage of the creative process - to the US postal service and Western Union delivery schedules, On Kawara emphasized the significance of concept over aesthetic form in a far more radical way than modern artists had previously attempted, in line with the most radical tendencies of Conceptual art. On Kawara was born in 1932, raised in an intellectual family environment informed by aspects of Buddhist, Shinto, and Christian religion. In common with Japanese society as a whole, he was greatly affected by the bombings of Hiroshima and Nagasaki, which occurred when he was a teenager, and which left him deeply unsettled, questioning the moral values underpinning human society. Thinking Man is one of On Kawara's earliest exhibited works. Featuring a starved, sick, or mutilated male figure in a claustrophobic room, this is a deeply uncomfortable image to engage with. The figure's flesh seems to be twisting around its limbs, while red pockmarks or score-shapes - suggestive of torture or sickness - cover the body. The stillness of the figure, and the prison-like confinement of the space in which he is set, enhance the impression of discomfort and fear. This piece was exhibited in Tokyo to wide critical acclaim. It resonated with emotions in Japan at the time, as the country was still coming to terms with the destruction of Hiroshima and Nagasaki, the horibble loss of life, and the blow to national pride. Many of Kawara's contemporaries depicted death and destruction in their work, though often in more directly representational, polemical works. In series like The Bathroom (1953-54), a set of paintings showing dismembered and bleeding bodies against a porcelain-tiled backdrop - Kawara showed that he could match Tokyo's Social Realist painters for cathartic gore. But while his "thinking man" clearly serves as a symbol for the mood of the country, and suggests the physical effects of nuclear fallout, the piece lacks the explicit political content of, say, Maruki Iri and Maruki Toshi's Hiroshima Panels (1950-82). The use of a distressed figure as a metaphor for the destruction of a country also sets Kawara's work alongside that of European post-war artists such as Alberto Giacometti, Francis Bacon, and Jean Dubuffet, while the near-caricature of a thinking stance is a possible nod to the existential condition as identified by contemporary French writers such as Jean-Paul Sartre and Albert Camus. Though an early work, and somewhat untypical of the artist, Thinking Man speaks to Kawara's existential concerns. It reflects a sense of the impossibility of meaningfully communicating the human condition which would be expressed in a different way through works of his mature, Conceptual period, such as the Today series. One of few surviving works from a group of word and phrase-based paintings made in New York in 1964-65, Title consists of three panels whose bold red backgrounds frame the phrases "One Thing", "1965", and "Viet-nam". Title was produced at a time when the U.S. military was subjecting North Vietnam to a massive bombing campaign. Kawara's early work - indeed, his early life - had been profoundly affected by the WWII bombings, and it is likely that the stark topical content of this piece, and even the boldness of the color, indicate a depth of emotional response which is belied by the overall minimalism of the work. This is a highly significant piece in the evolution of Kawara's practice, one of his earliest works to incorporate a written message relaying the circumstances surrounding the piece's composition. This technique would become something of a signature style in the monumental processual projects of the proceeding decades. Title is also an important early example of Conceptual art, a movement taking off in New York in the mid-1960s. Works from the same period, such as Joseph Kosuth's One and Three Chairs (1965), are also concerned with bringing the written word into the visual field of the painting, and with using the interplay between text and visual form to produce subtle commentaries on the relationship between the finished artwork and the process of its creation. December 17, 1979 is one of nearly 3,000 works produced over a span of almost fifty years as part of Kawara's Today series. The Date Paintings which make up the series consist of the date of composition, hand-painted in sans-serif font, against a monochrome background. These backgrounds are mostly dark grey, though paintings were also produced in shades of red and blue, and the tonal variation between different paintings is surprisingly wide. They ranged in size from 8 x 10 inches to 61 x 89 inches, although Kawara generally used the same eight increments of scale. The Date Paintings are partly documents of a repetitive, meditative composition process which took on something of the quality of a ritual or liturgy, marking the passage of time, and of the artist's life. Kawara set two main formal parameters when producing the paintings: first, each date was formatted using the writing customs of the country in which it was composed, and written in the relevant language; second, each painting had to be completed on the day in question. If Kawara did not finish a painting by midnight, it was destroyed. A later work, the 100 Years Calendar (1984), used a color coding system to mark each day of Kawara's life when a painting was successfully produced. The craftsmanship involved in producing the Date Paintings was remarkable: each ground-wash was created using four separate coats of paint. The outlines of the letters and numbers were then hand-written, carefully spaced out to make sure the date sat perfectly in the center of the canvas, and filled in with several coats of white paint, using tapered brushes, a ruler, and a set square. The Today series is thus partly a monument to an investment of time, care, and labor which is almost invisible in the finished works, whose appeal to the viewer is immediate, not to say ephemeral. Once the hidden craftsmanship of the pieces becomes evident, the Date Paintings suggest a series of engaging analogies between the present moment and the past which informs it. Because the date of each painting has necessarily passed by the time of its viewing, the pieces also suggest the ephemerality of the present moment: its instant passage into the past. In these ways, the Today series is classic Conceptual art, its idea-content, often informed by philosophy, more significant than its aesthetic content. At the same time, there remains visual variation and interest in the Date Paintings; the regularity of the paintings partly provides a backdrop against which elementary changes in color, size, wording, and so on, assume an exaggerated significance to the viewer. Today is one of the longest-lasting series of works to be produced by an individual artist, and quite possibly one of the most methodically continuous activities ever undertaken by a human being. It is also broadly agreed to be one of the most important works of Conceptual art. As regards the development of Kawara's career, Today marked a definitive shift from figurative art to the conceptual, process-based projects, concerned with temporal and spatial location, which would characterize his most valuable contributions to modern art. The I Read series consists of a set of grey binders filled with annotated clippings from the newspapers which Kawara read over a period of almost thirty years. A new page of clippings was added for each day on which a Date Painting was composed. As such, the I Read binders essentially contain all the material that did not end up in the annual Journals which also document the Today project, and which include color samples, and a coding system indicating the size, position in sequence, and subtitles of the Date Paintings. The pages of the I Read binders are not only organized by date, but also inscribed with numeric codes corresponding to the relevant Date Paintings. Although the binder spines feature only the phrase I Read and the artist's name, they are divided by years, as is the case with the Journals. The Today project provided a kind of conceptual fulcrum to Kawara's mature practice, around which other creative and ritualistic, record-keeping practices were established. The I Read project is a prime example of such an associated practice, in effect constituting an ongoing record of the artist's life as he created the Date Paintings. This is particularly true of the early pages of I Read, whose clippings are annotated with notes referencing Kawara's condition, or the condition of the world, at the time of composition (including, for example, details of his sleep patterns, or references to major political events). One of the most significant developments in modern art inaugurated by Conceptual art was to make the documentation of an artwork's creation an integral part of the artwork itself, or even a matter of more primary importance than that artwork. The record-keeping practices of the I Read series pre-empt almost all subsequent developments in this field, ushering in an era of art-making where questioning the processes, and the conceptual, technical, and sociological underpinnings of artistic production, became almost as important as how an artwork eventually appeared to the interpreter. Every day between 1968 and 1979, Kawara sent postcards to two different recipients, hand-stamped with a message informing them of the time at which he had got up that morning (or afternoon). These were conventional picture postcards, often showing touristy images of New York or other cities, delivered using conventional mail or courier services. The I Got Up project ended after eleven years because Kawara's stamping materials were stolen; though they were later returned, the project was never recommenced. Some critics refer to I Got Up as one of Kawara's most personal projects. In fact, the concepts and processes underpinning the project comprise a curious mixture of the personal and the impersonal. The stamped messages informed the recipients of precise details of Kawara's location and routine, but offered no commentary on his thoughts, his wellbeing, or his surroundings (the kind of information one might expect from a postcard). The use of a rubber-stamp, pressed into the page by hand, neatly complemented these combined qualities of personal and impersonal form. Once sent out for delivery, the postcards' final visual appearance, and the time of their arrival - which were, in a sense, integral aspects of the artwork - was dependent on postal workers and other anonymous, unwitting third-party participants. This last aspect of the project also reflected Kawara's commitment to Conceptual art's distinction between the idea-content and the visible form of an artwork: what was significant was the concepts that the postcard project represented, not how or when, or even where, they arrived. The ritualistic routine documented by the delivery of the cards also speaks the artist's ongoing concern, established through the Today series, with repetitive, meditative ritual as an aspect of the creative process. Like Kawara's other major projects, I Got Up speaks to the artist's concern with documenting the passage of time, and recording his position in space, without extraneous comment. The use of the first-person message, however, and the far quicker process of creating the postcards as compared to the Date Paintings, for example, gives the I Got Up series an almost intimate feel not matched by the larger-scale Today projects. If this suggests something of their status within Kawara's own oeuvre, I Got Up is also a seminal work of Conceptual and Minimal art. The elision of artistic content in a simple written statement is typical of the concerns of conceptualism, while the repetitive form of the series, its visual uniformity and apparent capacity to continue indefinitely without changing, bears an obvious resemblance to the uniform, factory-made objects of Minimalist sculpture: the work of Donald Judd, for example. Produced between 1968 and 1979, I Met is an exhaustive record of all the people whom the artist spoke to during that period, from friends and colleagues to strangers. The names are typed in single-column lists, with each page representing one day. If Kawara met someone at midnight, they would appear both at the end of the previous day's list and at the start of the next one. The lists are stored in twenty-four bound volumes, each page stamped with the relevant date. Kawara's fascination with names was spurred by a conversation with his friend, the curator Kasper König, who challenged him to write a poem that could be universally understood. Kawara then received a business card from a man in Mexico City (he often asked for these as he had trouble remembering Western names). In that moment, he realized that names were universally understood and, as curator Anne Wheeler describes it, he began to see names as "readymade poems". While I Met documents the artist's interactions with other people, the emotional detachment of the record-keeping method is what really defines the piece. The use of lists of words and phrases which alter while maintaining certain grammatical features makes the project somewhat reminiscent of the art-writing and poetry being produced around the same time by Conceptual artists and Concrete poets such as Carl Andre and Aram Saroyan. I Met applies one of the typical compositional maneuvers of Conceptual art, carrying out the same logically defined process repeatedly, in shifting circumstances, over an extended period, documenting the results using a homogenous method which frames the subtle distinctions between different iterations of that process. Like much of Kawara's work, however, it also stands apart from much contemporary Conceptual art, not only because of the sheer scale and duration of the project, but because it combines its cool impersonality with some of the trappings of intimate reportage. Indeed, because Kawara refused to give interviews, go to his openings, give lectures, or otherwise speak about his art, projects such as I Met provide us with about the most detailed information available on his life, his routine, and his social circles. Another series executed over many years, I Am Still Alive consists of a series of telegrams sent intermittently over a thirty-year period to a wide range of recipients, including figures within the art world, bearing the message "I Am Still Alive". The work itself consists not only of the various iterations of the statement, but the formal and visual features of the various telegrams to which it was affixed - dependent on where it was sent to and from, the company used to submit it, and other unpredictable details - and the vagaries of the delivery process itself. I Am Still Alive differs from Kawara's previously-established processual projects in several, crucial ways. Firstly, it did not document a daily process, since delivery schedules were random: Kawara sometimes sent several telegrams in quick succession, and at other times sent none for several months. Furthermore, unlike the objects generated by his other long-term projects, the artist never touched the compositional materials involved in this one. The telegram paper was selected by workers at companies such as Western Union, while the placement of text and other unwitting formatting decisions, and the date and time of delivery, were also contingent upon individual decisions and bureaucratic systems beyond the artist's control. The I Am Still Alive series might seem devoid of meaningful input from the artist himself. But it is, for this very reason, a highly significant work. These are the first works in which Kawara fully separated out the idea-content of the artwork from the process of its realization, leaving all details of the latter up to anonymous, unwitting third parties. In this sense, the telegrams are examples of the purest possible form of Conceptual art. We might also see these as the bleakest of Kawara's pieces, the grim, Beckettian humor of the message - which grew from a series of messages sent in 1969 reassuring the recipient that he was "not going to commit suicide" - seeming to disavow any possibility of meaningful communication between artist and interpretant, or even between one human being and another, beyond an assertion of the bare facts of their existence. 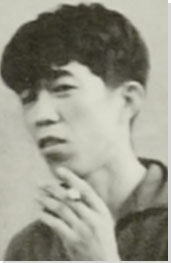 Indeed, it is worth recalling that despite his connection to Conceptual art, Kawara's intellectual grounding was in the absurdist and existentialist atmosphere of the 1950s avant-garde. In handing over composition of the artwork to anonymous third parties and corporations, Kawara also seems to comment on the contingency of human life and routine - even the life and routine of the artist - on economic and bureaucratic systems beyond their control. One Million Years consists of two books, One Million Years: Past (For All Those Who Have Lived and Died) and One Million Years: Future (For The Last One). The books list, respectively, the one million years before the artwork was conceived, and the one million years afterwards, and are composed of text cut, pasted and photocopied by the artist. The One Million Years project also involves a performance element, presented each time the books are exhibited, involving a male speaker and a female speaker reading dates from the book, aloud, in turn. This was first done at Kawara's solo exhibition at the Dia Art Foundation in 1993. As with I Met and other similar works by On, the record-keeping element of the One Million Years project is significant. But whereas previous works were rooted in the documentation of daily life, One Million Years expands its conceptual scope to an almost unfathomable scale, alluding to a span of time beyond the possibility of comprehension. In this way, it epitomizes better than any of Kawara's previous works a concern with the infinite as well as the microscopic aspects of time - with time as a non-linear, all-encompassing vastness - and thus expresses the ascetic, meditative, Zen-Buddhist aspects of his practice. The performance element of this piece also represents an important development in Kawara's work, demonstrating his desire to allow audience-members to share in the repetitive, ritualistic processes of his craft. A past participant in a One Million Years performance, Andrew Russeth, has described the process as "meditative, surprisingly difficult, and quite melancholy." Between 1984 and 2002, On Kawara created several screen-printed calendars to document the two centuries during which he had lived. Each calendar takes the form of an enormous poster, containing a thirteen-column grid of numerals (the small central column gives the year, while the six on either side of it indicate the months), with ten rows corresponding to the ten decades of the century. The calendars were then customized to indicate the life-span and creative activities of the artist: a yellow dot for a day when he was alive, a green dot for a day when a Date Painting was produced, a red dot for a day when more than one painting was completed. As documents of a uniform method of time-keeping - specifically, of marking the days when the artist was alive - the Hundred Years Calendars are almost actuarial in nature. Like much of Kawara's work, then, they might seem conspicuously, even coldly, impersonal. At the same time, the calendars reveal significant and detailed information about his life - providing, for example, a microscopic record of his work on the Today series - and each calendar bears the unique imprint of the artist's touch, and of an artisanal creative process, with dots added by hand, and each poster screen-printed onto Japanese paper, generating some of the auratic quality of a fine-art object. In these works, then, which provide more than any of Kawara's other pieces a kind of biographical record, he maintains that enigmatic balance between extreme intimacy and extreme impersonality of expression which sets his work apart.